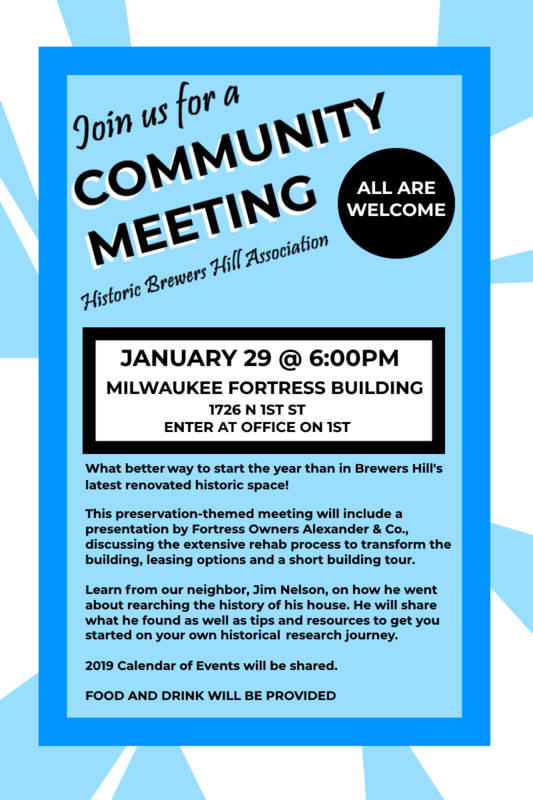 Due to the forecasted inclement weather, the Historic Brewers Hill Association meeting scheduled for Tuesday, January 29th has been cancelled. 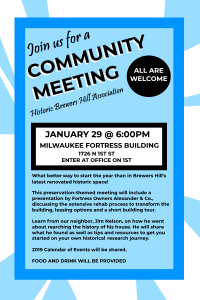 The meeting is rescheduled to Tuesday, February 12th. Same place (Fortress) and time (6pm). Please note – enter building off the Palmer Street parking lot.